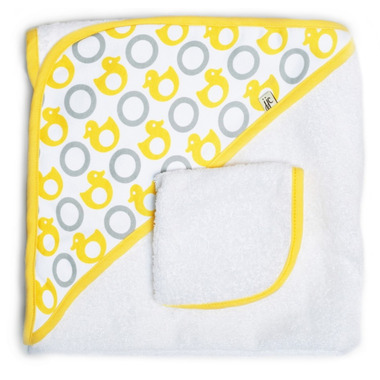 JJ Cole Hooded Towel is just the right size to wrap and dry baby. The corner hood ensures that baby will be cozy and dry from head to toe. This bath time essential is made of 100% cotton terry cloth for the ultimate in softness and absorption. Suitable for ages birth and up. Perfect to give as a baby shower gift!